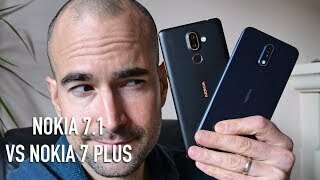 After releasing the Nokia 6.1 Plus less than two months ago, Nokia is already here with its successor: the Nokia 7.1 Plus. 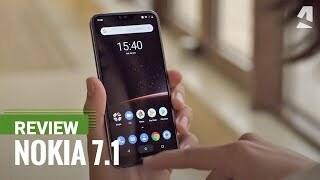 Also known as the Nokia X7 (in China), it’s a mid-range phone with a big display and decent specs. To find out more about this phone and the Nokia 7.1 Plus Nigeria price, continue reading. 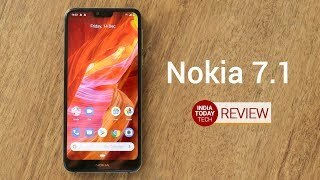 We have already seen phones from Nokia with near bezel-less displays with a notch on top. The Nokia 7.1 Plus is no different compared to the Nokia 6.1 Plus and comes with a bigger 6.18-inch screen showing 2280 x 1080 pixels resolution, 19:9 aspect ratio and 408ppi of pixel density. It’s also slightly bigger than its predecessor and weighs about 178g. Users will get glass on both front and back side with aluminum frame surrounding the phone. The bottom chin under the display is quite fat but the screen-to-body ratio is quite good at 81.2%. Right after the Nokia 7.1 Plus release date Nigeria, this phone can be found in four different colors: Night Red, Night Black, Dark Blue and Magic Night Silver. For a mid-range phone, things are looking good in the camera department for the Nokia 7.1 Plus. There are two cameras on the back of this phone, one 12-megapixel camera with f/1.8 aperture and OIS and one 13-megapixel with unknown aperture. We will be able to learn more about this 13-megapixel camera after the Nokia 7.1 Plus release date Nigeria. As the rear camera will feature Zeiss optics with other basic features like HDR and panorama, users can expect to get decent results. As for the front camera, it will be a 20-megapixel camera with f/2.0 aperture. There is the OnePlus 6 and Google Pixel 2 if you are in the market for a phone with decent camera. These phones are almost in the same price range as the Nokia 7.1 Plus Nigeria price. The Nokia 7.1 Plus will be available for about ₦ 125900 when it’s here. The Nokia 7.1 Plus release date Nigeria is expected to be sometimes in October, 2018. This version of the Mobile Phone comes in Color : Copper , Capacity : 4 GB , Band : LTE , Display Size : 6 Inch , Sim Cards Slots : Single Sim , Special Features : Touch Screen. The model comes in 9 other variations including combination of LTE Band , 4 GB Capacity , Copper Color , 6 Inch Display Size , Single Sim, Dual Sim Cards Slots , Touch Screen Special Features. 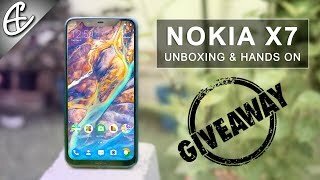 The best price for the Nokia 7.1 Plus in Nigeria is ₦ 123000 sold at Jumia and available with free shipping and delivery within 1-6 Days (Fashion Items) 3-8 Days for other products. Price has decreased 18% from ₦ 126150 on 2018-11-02 to ₦ 103000 today.